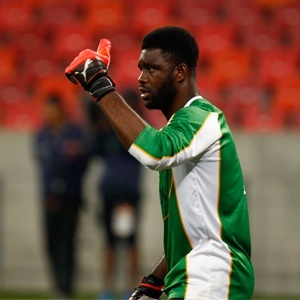 Cape Town - Chippa United goalkeeper Daniel Akpeyi has been named in the Nigerian squad to face Zambia in a World Cup qualifier in Uyo. The game is scheduled to take place on Saturday October 7. Injuries have meant that 31-year-old Akpeyi has so far played in only one World Cup qualifier, the 3-1 win over Algeria in November 2016. But the former Warri Wolves custodian has started the season strongly at Chippa United in the South African top flight, playing the last three games for the Port Elizabeth-based club and conceding only one goal. All of Nigeria's most decorated stars, including skipper John Obi Mikel, Odion Ighalo, Victor Moses, Alex Iwobi, Ahmed Musa, Wilfred Ndidi and Kelechi Iheanacho, have been named in the squad. Iwobi is however a concern after a quadriceps muscle strain injury saw him missing Arsenal's game with West Brom on Monday night. With two qualifying matches left, Nigeria top Group B with 10 points, while Zambia are second with seven points.